What a bad day this is going to be! Jane thinks to herself as she struggles to feel positive for the day. Jane had a question in her heart which she seemed to have no answer. This issue looks simple but after two weeks of soul searching, Jane realizes that this problem is not as easy as she thought. This puzzle has been draining her energy quite recently and is the reason for her drowsy attitude at work. she has been pondering over this challenge but her brain just can’t give her a clue. Like a stalker, this problem keeps haunting her. It has made her feel life isn’t worth living. Everything she cherishes is suddenly on the verge of becoming a huge void. Now what could be the issue that seems to make Jane lose her peace? Why can’t I figure out my unique purpose? Why is it so hard for me to discover my passion? Jane wonders…. Jane had been told that to live an intentional life, one must have a unique purpose. It is this ONE purpose that makes life worth living. It is this purpose that would enable her to make a difference and create her epic story which might turn out to become a legacy for others to follow. Jane had began her journey to find her epic purpose but soon discovered a problem, she has so many passions and can’t simply pick a unique purpose. This is so disturbing for Jane. While her friends easily found their unique purpose and are making a difference in their world, Jane would start with one passion and end up jumping to another barely after a few months. Jane tried everything she could and even turned to others for help but the advice she got isn’t clicking with her. Alas, Jane feels torn apart and still pondering on the question; How can I find my epic purpose? Just thinking about finding your purpose makes you feel uneasy and sweating. You have got one or more passions and just like Jane, you have got to pick and choose between which one is your No. 1 Purpose. This is making you feel pressured. You are just about ready to throw all your other passions away just to discover that one vision and purpose. But what if you knew that by combining all your passions, you are on the path to your unique purpose. 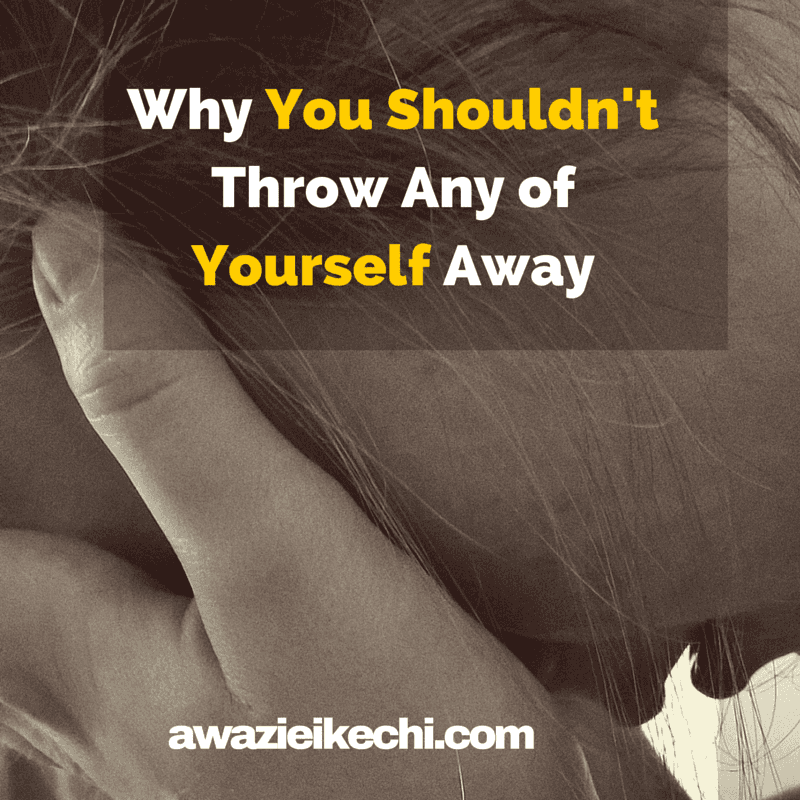 What if you knew that by throwing any of yourself away, you are hurting your existence. Having a single purpose or passion is a cool thing but what defines you isn’t tied to your purpose. You aren’t weird nor are you awkward and there is nothing absolutely wrong with you. You are only trying to connect your dots looking forward instead of connecting them looking backwards. Maybe you have been told that you need a single purpose to make a difference and you probably feel that this is the direction that you need to follow; a unified purpose and vision. Just know that it is You that makes the difference and this is what makes your purpose so unique. It is because of You that your purpose does exists. Your existence is what creates your reality. Isn’t it odd that you allow the World to define your existence and craft your unique passion? Isn’t it odd that you allow other people to shed off all of your passions just to create a unified YOU? Who would you be if the World never gave you an Identity? Have you ever cut off a couple of your passions only to focus on one but after a while you start to feel pain inward and so awkward? If so, you are not alone. Kleon in ” Steal Like an Artist” narrates how he was obsessed with song writing and playing in bands but decided to focus on his writing. This made him to experience the Phantom limb pain. The more he focused on his writing, the more the pain got worse. It was not until he got back to playing in the band that he became whole again and that inward pain was all gone. The best thing is that he got more creative with his writing. It is these passions in your life that makes the difference. It is these passions that defines YOU. When you take any of these passion away, you are gradually tear yourself apart . So don’t be worried; combine as much passions as you have and go make a difference. Do you that no Culture or Norm has ever existed without You? You shape Culture in ways that you never imagined. No culture or norm has ever existed on its own and that is because you make the difference. Though it seems that Society tries so hard to create a standard for living an intentional life, you are beyond this limitation as you get to write your own story and create your own Culture. You are the criteria for how Culture turns out. So don’t be burdened by the opinions of your friends, family, and co-workers. Don’t allow external voices to infiltrate your mind and make you become an impostor. You have the keys to write your own story. So go do just that. Get on with your life and write you own story; write your legacy. Would you like to follow your passions or would you risk them just for a single purpose. Take Care.